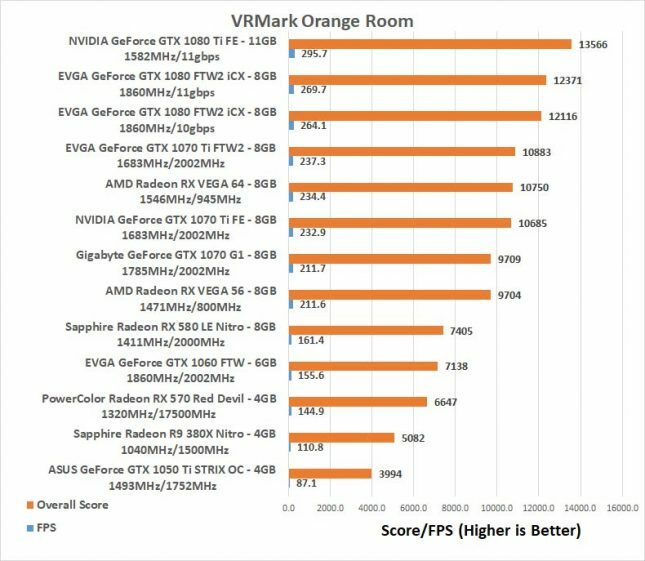 Benchmark Results: The AMD Radeon RX VEGA 56 and Gigabyte GeForce GTX 1070 were basically tied here in the VRMark Orange room, but the new 1070 Ti was nearly 1,000 points ahead. The goal in this benchmark is to get 109 FPS as that is the number deemed ‘needed’ for VR gaming. 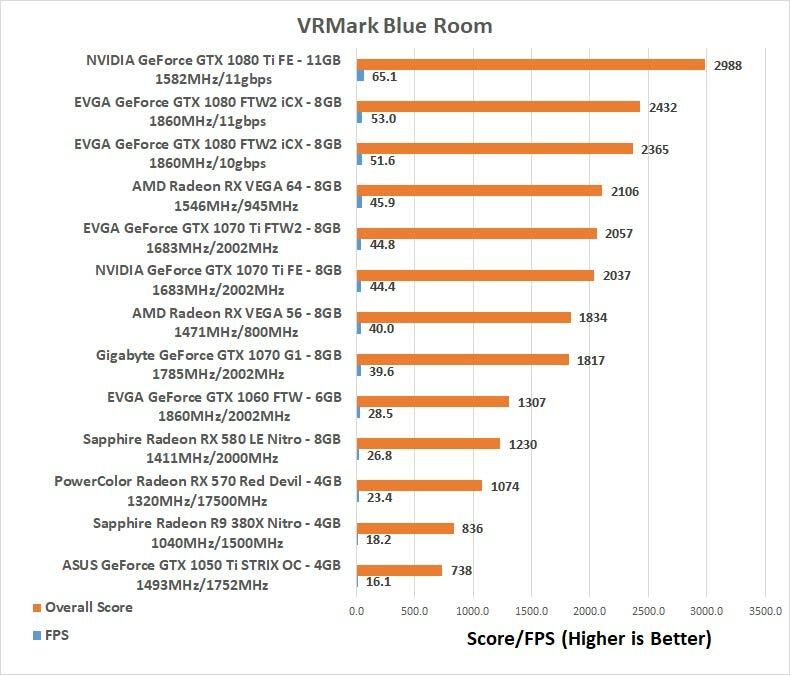 These two cards easily cover that! 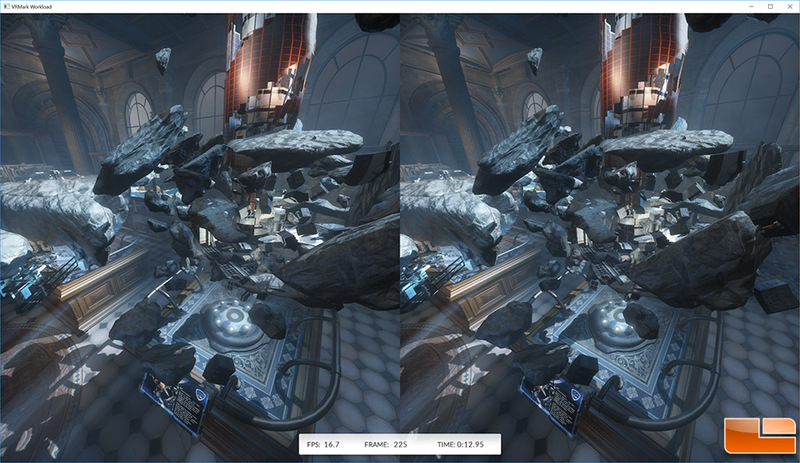 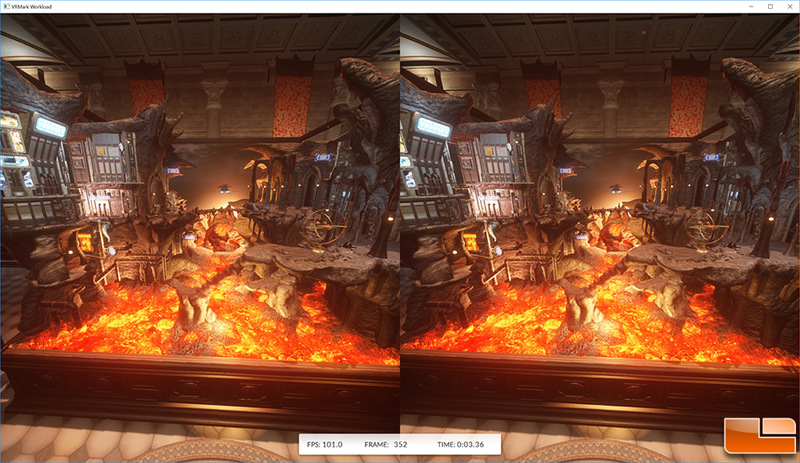 Benchmark Results: The VRMark Blue Room is much tougher on GPUs and none pass this test. 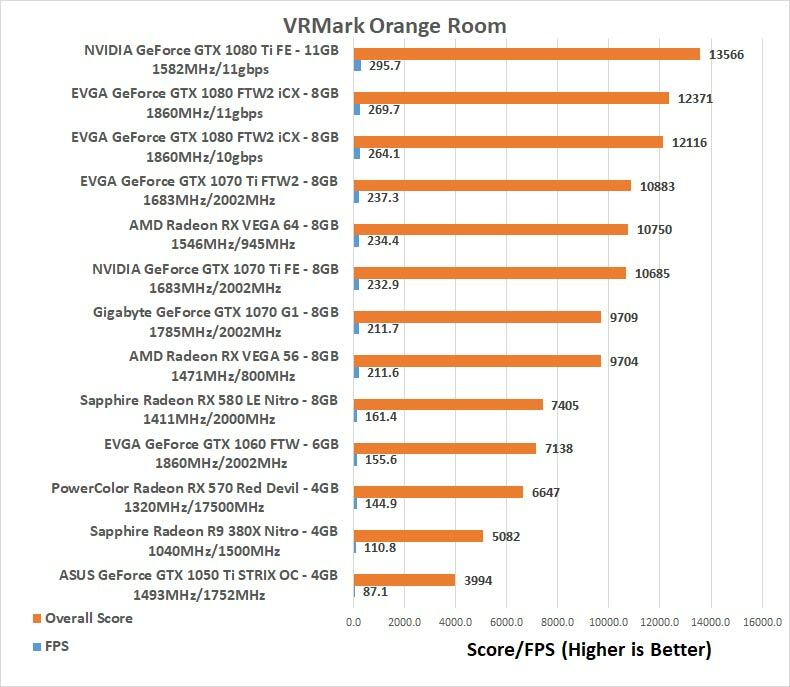 The 1070 Ti cards score just behind the RX Vega 64 air and are faster than the Radeon RX Vega 56.